Wojciech is a Certified auditor. He has graduated from the Warsaw School of Economics in Finance and Banking. Since 2006 he has been involved in audit and advisory. He worked i.a. in audit and consulting departments of “BIG4” companies (KPMG, Deloitte). Wojciech performs audits and reviews of financial statements and attestation services for the companies reporting in accordance with Polish and international standards. For the last several years Wojciech has also participated in a number of projects in the areas of valuation and financial Due Diligence. 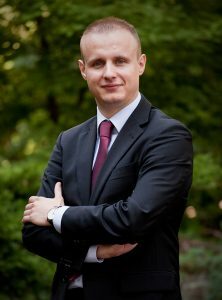 Previously, Wojciech, as a shareholder and a member of Management Board, successfully developed business of Warsaw Business Consulting – company rendering accounting services. Furthermore, he has also gained 3-year experience in a reporting department in Cyfrowy Polsat S.A. (a company listed on the Warsaw Stock Exchange) and nearly 2-year experience in Maersk Group shared service center.